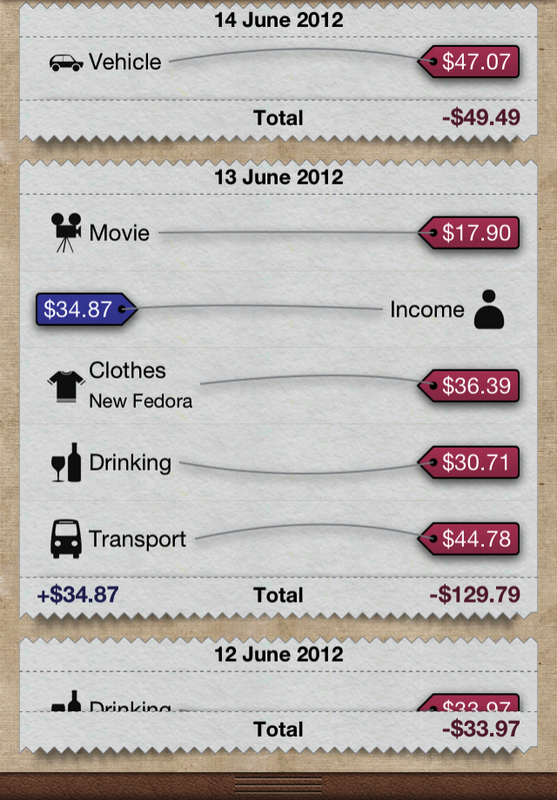 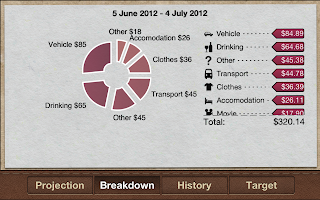 This is where you can view your daily spending target, your item history, and add new budget items. 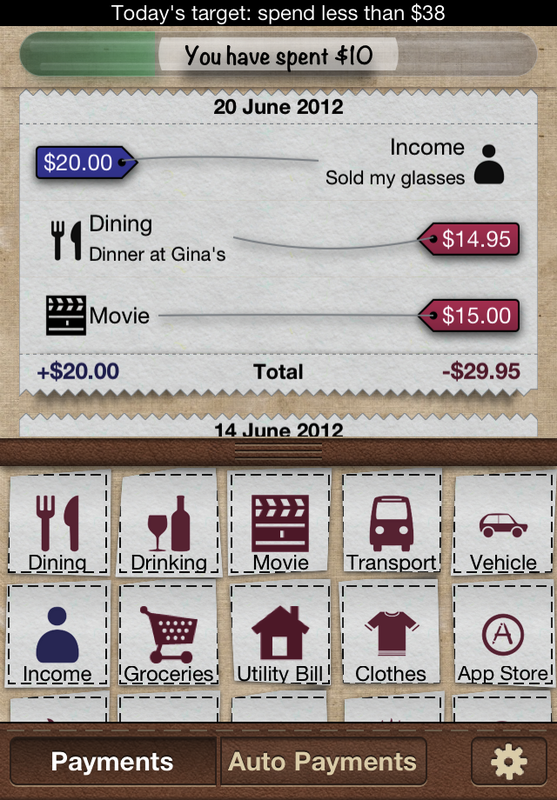 The most important things are a single glance or tap away. 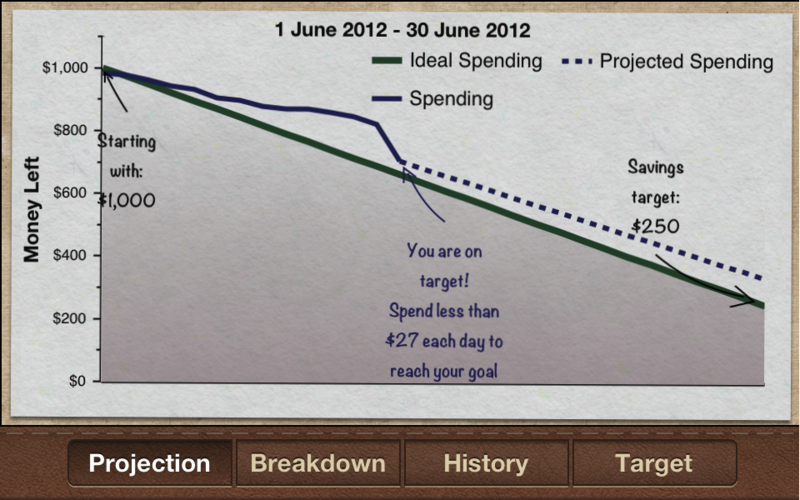 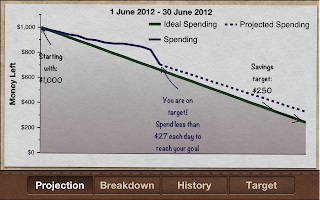 The Projection Graph shows you how you are doing for your current savings period. 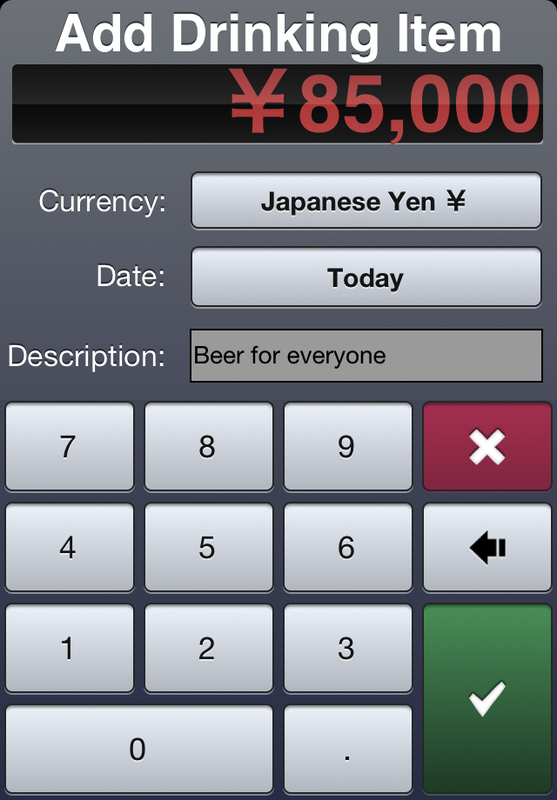 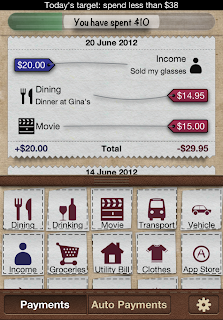 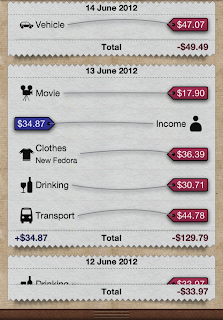 It lets you know how you are doing, and where you will end up if you keep spending at your current rate. 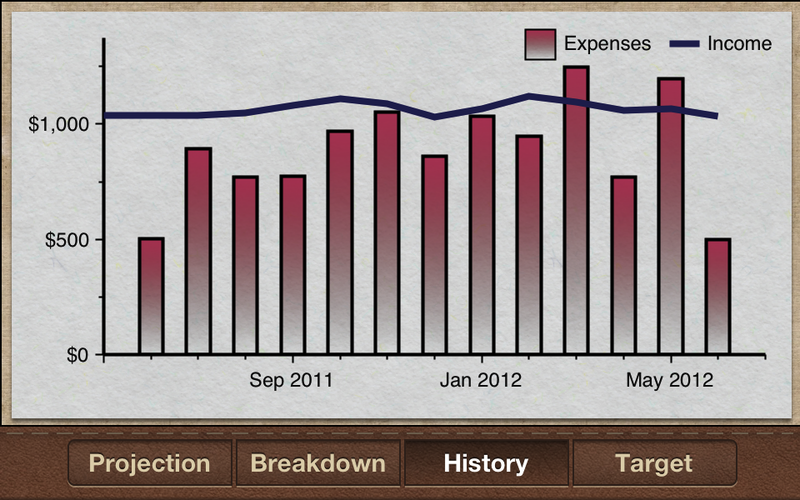 Double-tap the History to see your spending history in fullscreen. 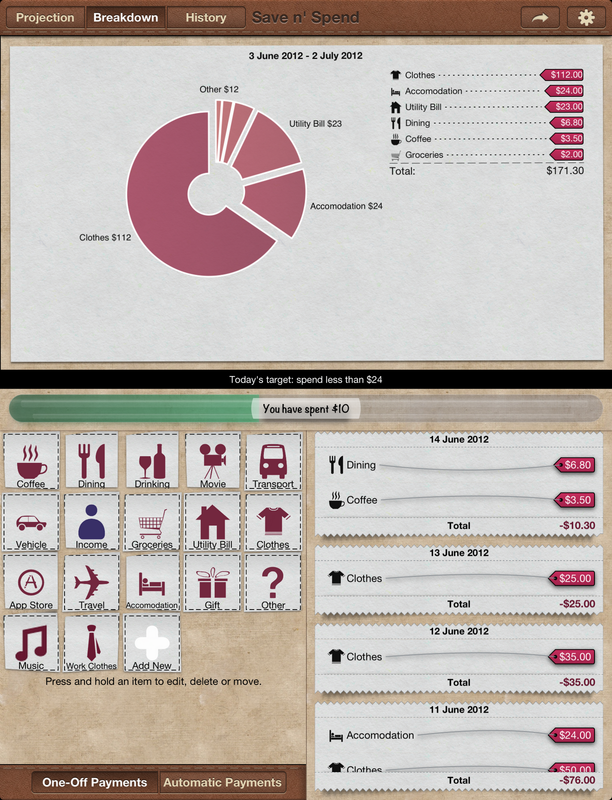 See what you have been spending your money on with the Breakdown graph. 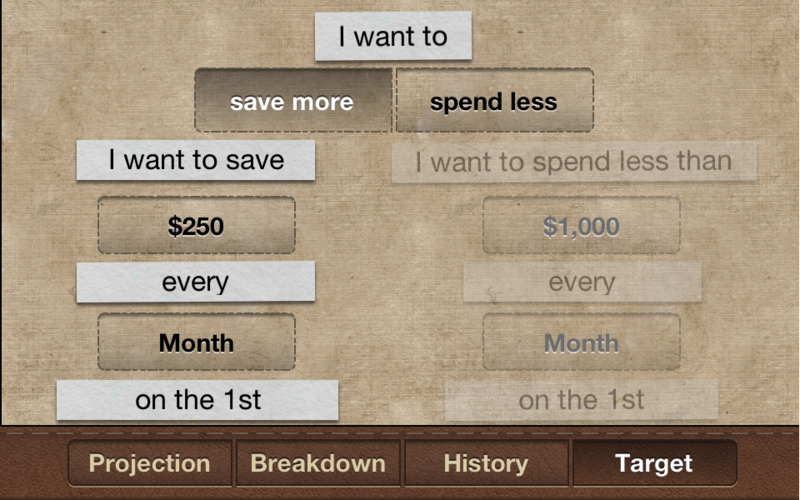 You can choose whether you want to save more or spend less, how much, and how often. 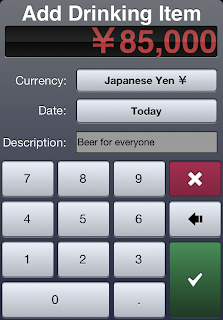 Just type in the number and press go to add a new item. 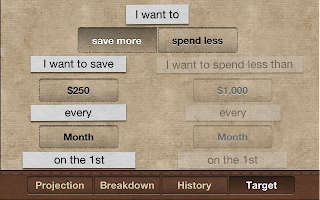 It's as easy and quick as that. 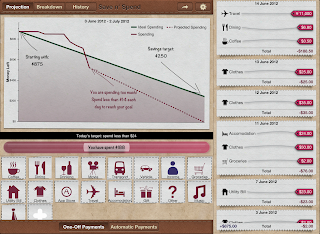 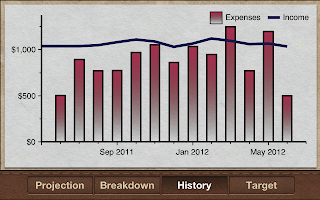 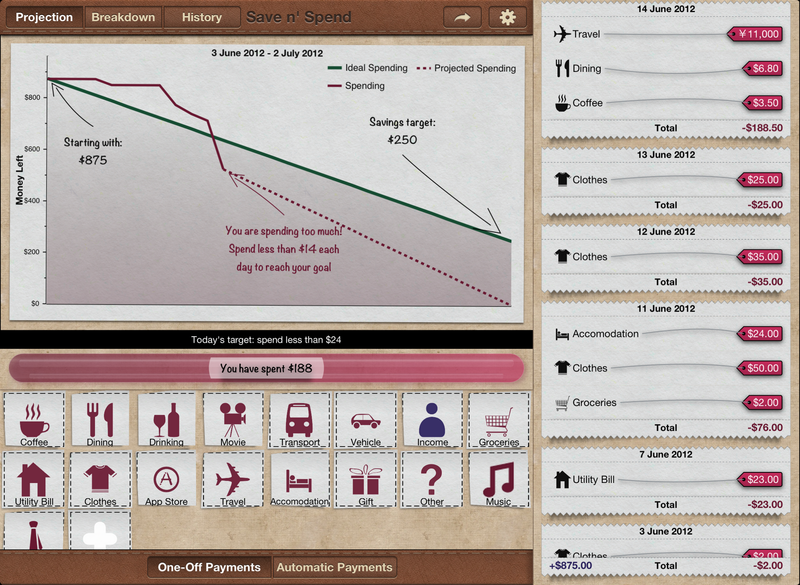 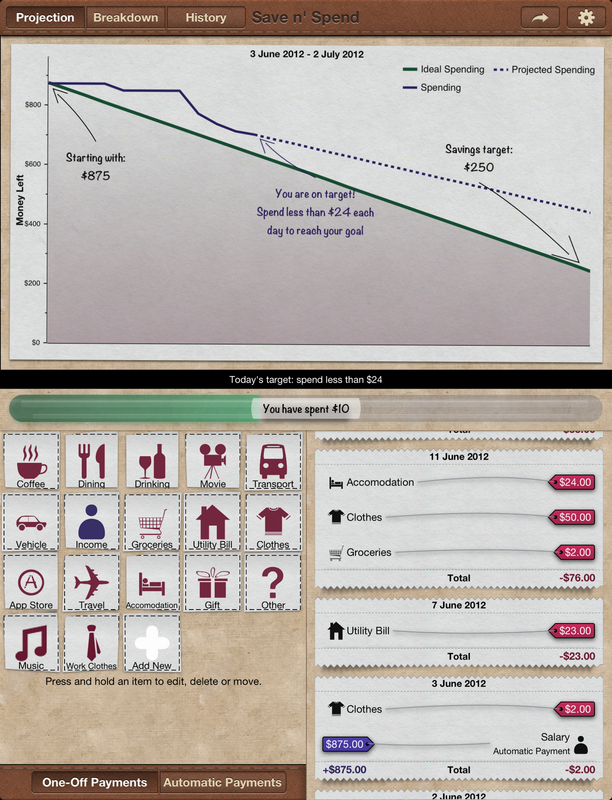 View your longterm income and spending habits with the History Graph. 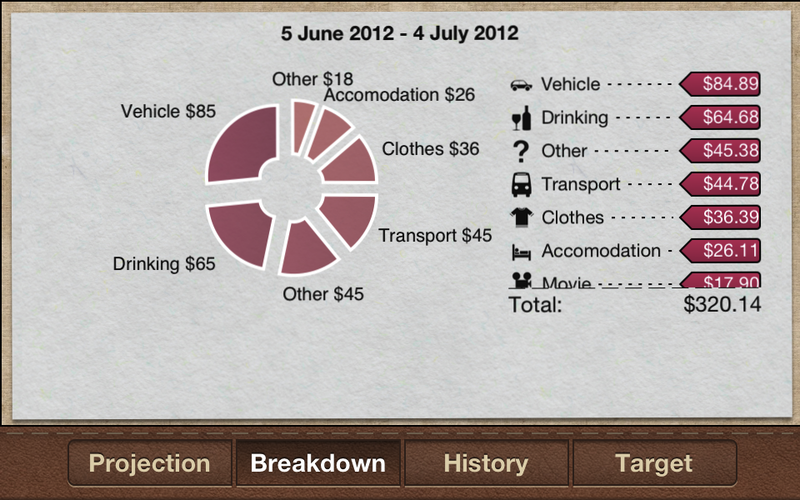 The Breakdown Graph shows what you've been spending your money on. 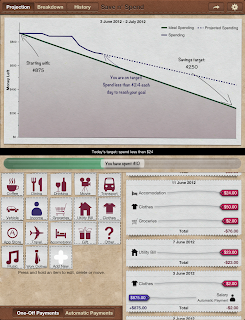 Rotate your iPad for a different view with a larger history.